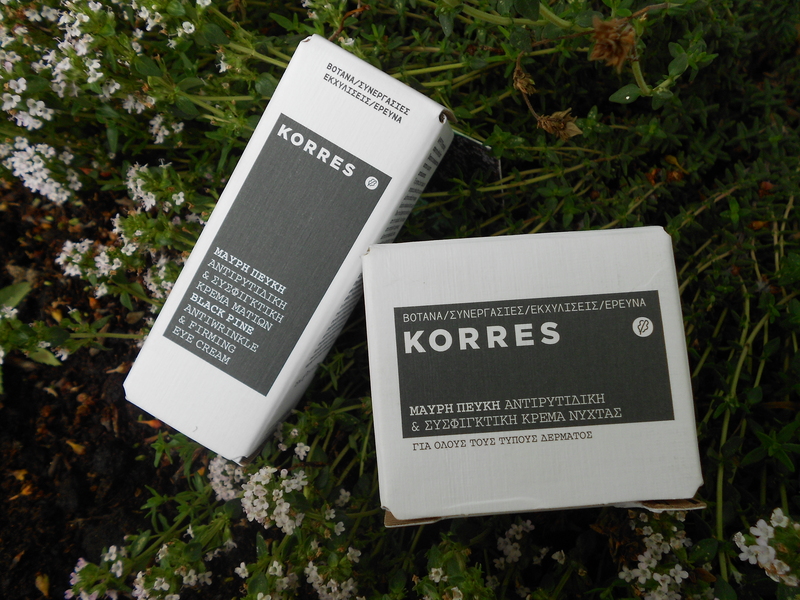 I’m loving Korres lately. I love their chunky cardboard packaging, their cruelty free ethos and, most importantly, the products themselves. I’ve been trying out some more of their lovely collection lately, starting with their Black Pine anti-wrinkle creams. I love their creams which are non-greasy and effective . Made of 97.7% natural content, these creams contain no silicones, parabens, synthetic dye, alcohol, fragrance, animal by-products and are firmly vegan and cruelty free. These feel lovely on, just be careful about sensitive eyes as the eye cream can sting a little but they’re otherwise perfect! 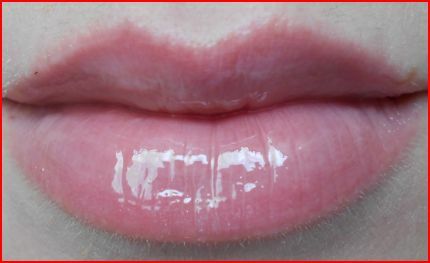 I also love their glosses infused with cherry oil which come in a lovely range of shades. 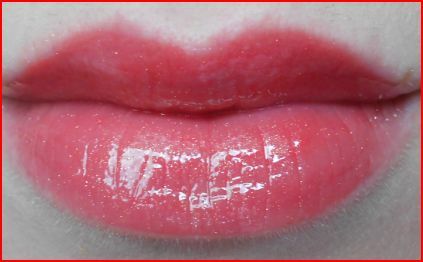 Above are the cherry glosses in light purple and light pink as well as their gorgeous coral lipgloss flecked with subtle gold glitter. 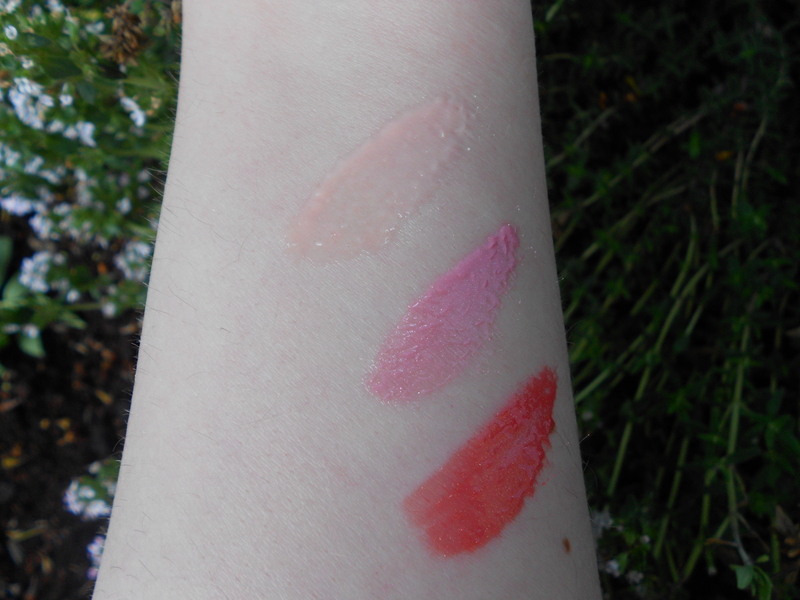 Here’s some swatches on my arm and below on my lips so you can get a true idea of the yummy shades on offer which are infused with Vitamins C and E.
So have you tried any of the Korres brand or are you tempted by any of these lovely goodies? Let me know! Very unlike me, I really like the Coral though I’d probably be all over the purple. Light purple is gorgeous on you. 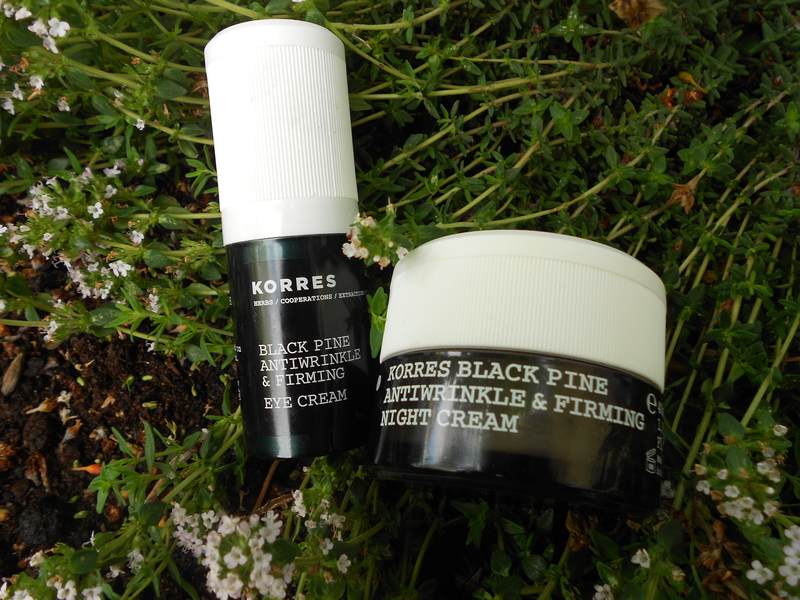 It’s funny, a well known Beaut y blog also covered the korres range today. Now now no need for that, plenty of lovely things for us all to write about and if we write about the same things from time to time, sure what of it? I like to read lots of reviews of products I’m considering buying, nice to get a few perspectives. 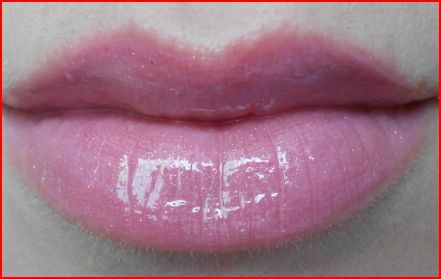 Enjoyed your review Smokey – must check out those glosses! Its funny, I never understand comments like this. Why does a compliment have to come at the expense of someone else? The world of beauty blogging is thankfully huge with plenty of room for all. If any of us had even an ounce of the talent or success of Beaut.ie we should be thanking our lucky stars… And them for the inspiration, of course. Hi there, nice to see you visiting the site:) I think the comment was made just cause people know I got a bit of unfair treatment recently so say it was just sparked by that, in fairness the poster did reply after saying it wasn’t meant to be offensive so think it’s all sorted now! 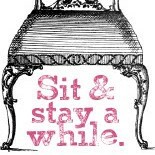 I can’t get enough of Korres, love love love it! What?? I thought it was like apple ‘cores’!! That kinda ruins my witty title haha! 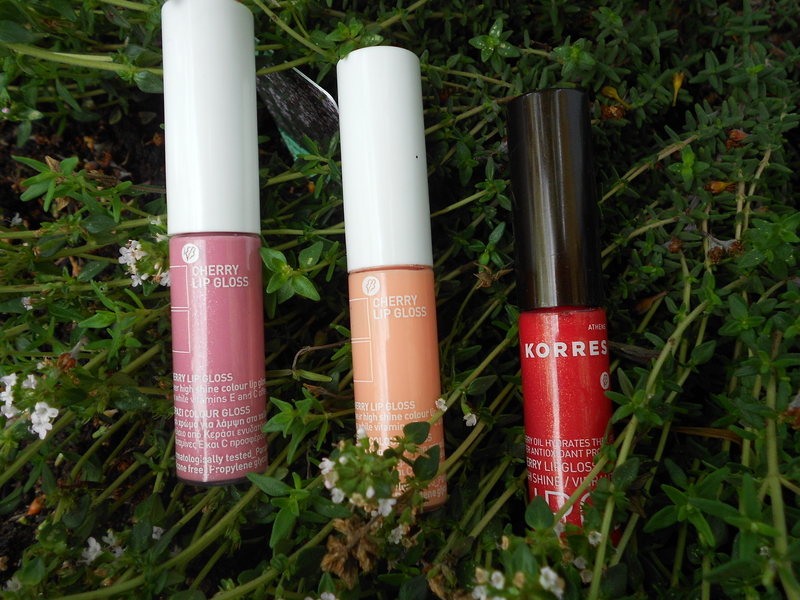 Trying to get a bit of nature into the blog and make the pics interesting:) Loving everything Korres at the moment! This entry was posted on June 7, 2012 by Makeupmonster in Face, Home, Lips, Reviews and tagged Korres black pine, Korres lipgloss.